Tubal Ligation can be performed in a number of different ways and whilst all ways should be considered permanent, some methods are more permanent than others. Is Pregnancy Possible After Tubal Ligation? What happens if you have a tubal ligation and change your mind about having another child? Are there options for you? Most definitely. You can use IVF or In vitro fertilization to attempt for a pregnancy. 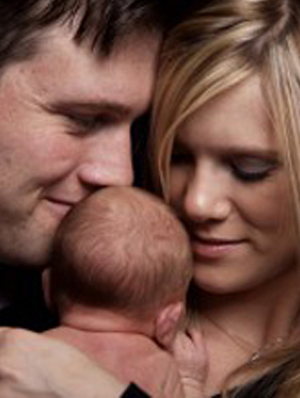 IVF was originally created as a way to help women who had tubal blockages and tubal problems to be able to conceive. At the time IVF was being developed the procedure known as tubal ligation was not around, but thanks to technology you can now benefit from this procedure. For some women, their fertility issue relates to having blocked fallopian tubes. Some of the reasons you might have a blocked fallopian tube is Infection resulting in Pelvic Inflammatory Disease or Endometritis. Tubal damage can also occur as a result of a Chlamydia infection or as the result of certain birth control appliances. If you suffer from tubal blockages and would like to start a family or extend one there are options. You could opt to have a laparoscopic (keyhole surgery) evaluation, where your doctor will get a better idea of how much of tube is affected. If you only have a partially blocked Fallopian tube, a small operation called tuboplasty, may be able to correct the blockage. The goal of tuboplasty is to restore patency to fallopian tubes. Even if this surgery is successful there can still be a higher chance of ectopic pregnancy. Some women who suffered severe infections or Chlamydia tend to have the entire fallopian tubes affected which could result in complete blockage or severe damage to the tube so that it does not function properly and again can result in a higher chance of an ectopic pregnancy occurring. In cases of tubal blockage, In Vito Fertilization is often the only solution. Conventional medicine does not have anything to help heal and repair scarred fallopian tubes. While it’s not impossible to get pregnant with scarred fallopian tubes, it can be dangerous. If you do get pregnant with scarred fallopian tubes you’re at higher risk of an ectopic pregnancy (most commonly tubal) as previously mentioned. An undiagnosed tubal pregnancy can result in the tube bursting and caused permanent tubal damage. Tubal pregnancies need to be diagnosed within the first 6-8 weeks, because it is a life threatening condition and hospitalization is required. Once you test positive for pregnancy, you need to go see your doctor. Your doctor will need to make sure the embryos is developing in the uterus and not in the tube. The IVF process might sound overwhelming or incredibly complex, but it is actually quite simple. In vitro fertilization involves stimulating your ovaries using injectable medications, once stimulated you’ll have your eggs collected from your ovaries. You will have the choice of being a sleep or away for your egg retrieval. Once collected the scientist will take your eggs back to the clinic laboratory and then attempt to fertilise them with your male partner’s sperm. If there are viable embryos that develop to day 5/6 (only about 1/3 of fertilised eggs will reach this stage of development), your doctor will transfer one back into your uterus. One of the biggest advantage of in vitro fertilization is that you avoid the major surgery that is associated with a tubal reversal. Because tubal ligation is considered major surgery, you’re required to stay in the hospital for a few days. In addition to this, in Australia some of your IVF cycle is covered by Medicare, however there is no Medicare rebate for a tubal reversal. Many women choose IVF because there’s a better chance success than with a tubal reversal, but the chance of success with both procedures depends upon a number of things such as the method used for the initial tubal surgery, how long it has been since the surgery and the age of the female. Another benefit of IVF over tubal ligation is that you can find out within two weeks of having an embryo transfer if the procedure was successful, whereas if you have a tubal reversal, you might have to wait more than a year to find out if the procedure was a success. This would not be considered an ideal option for women in their late 30’s. The biggest disadvantage with in vitro fertilization is you need to take injectable medications to stimulate the development of multiple eggs. Using these injections can mean that you have a risk of Ovarian Hyperstimulation Syndrome (OHSS) developing, which is a serious side effect of IVF however the risk of this happening in a severe form is around 1-2% and your cycle is monitored closely to reduce the risk of this occurring. According to a study from the National Perinatal Epidemiology and Statistics Unit (NPESU) there is a higher rate of live deliveries in younger women having IVF, defined as women under 30. 27.2% per fresh cycle and 27.8% for thawed. Women over 44 having IVF showed a low live delivery rate. 1.2% for fresh and 5.4% for thawed. Should a pregnancy occur, a small percentage of women will miscarry the pregnancy shortly after it is seen on an ultrasound, this risk is often irrespective of whether you have had IVF or not to achieve a pregnancy. The bottom line is IVF or in vitro fertilization is an excellent option for you if you’ve had a tubal ligation, scarred tubes, or blocked tubes. The process of IVF is much quicker than having surgery and for some is considered less invasive. Learn more about understanding IVF success rates or check out our published statistics. How do you move forward? The first thing you need to do is call us on 07 5478 2482 (1300 FERTILITY) and schedule a free private consultation with a fertility specialist. The specialist will sit down with you and your partner in a home-like environment to discuss your options. You’ll learn what the best plan or procedure is for you. Each woman will have their own individualized plan. You’ll benefit from a doctor who will guide you from pre-conception to birth as all our doctors not only do IVF but are also obstetricians and gynaecologists.